Rotherham Council has identified that a new business incubation centre in the east of the borough could have a major positive impact on the future prosperity of the Rotherham economy. Rotherham Investment & Development Office (RiDO) is the regeneration arm of Rotherham Metropolitan Borough Council and operates four modern business incubation centres offering support and assistance to local and international businesses. The centres at Moorgate Crofts, Templeborough, Manvers and Dinnington provide over 180 offices and workshops at easy-in/easy-out terms on a monthly licence basis. In the 13 years since Century Business Centre was opened in Manvers, RiDO has helped over 540 companies start up and the create over 1,800 jobs. In the update of the borough's Growth Plan, the economic plan to help deliver 10,000 new private sector jobs in Rotherham over the next ten years, a potential new incubation centre has been identified as a priority project for business growth. Providing a facility in the east of the borough, possibly in Hellaby/Maltby would grow the established successful network of incubation centres but would require a proportion of grant funding in order to make it financially viable. 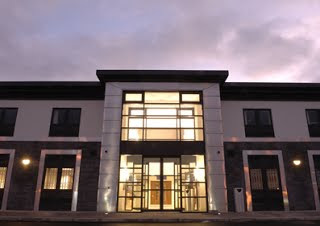 Matrix @ Dinnington (pictured), a purpose-built business centre in the former colliery town was the most recent to open and cost £3.4m in 2008. Further support includes on site business adviser support, access to training, marketing, supply chain linkages, plus access to other partner organisations who can contribute to achieving the growth aspirations of businesses. Space is also reserved for young entrepreneurs through the successful Rotherham Youth Enterprise programme. It is this support that means that businesses located in the centres have a three year survival rate of 85%, well above the national average. The plan also identifies the need for supporting companies as they move from the new start to growth phase. This includes the provision of suitable grow on space for those business growing out of the incubation centres, freeing up space for other new businesses. The latest draft of the growth plan has been approved by Commissioner Kenny and is set to go before the full council in September. Developed by the council's economic development team, the new plan sits alongside the Sheffield City Region Local Enterprise Partnership's (LEP's) Growth Plan. The main aims of the Rotherham Growth Plan are to help create 750 additional new businesses over the next five years and to increase gross value added (GVA), a measure in economics of the value of goods and services produced in an area, for the Rotherham economy. Alongside council priorities, the plan is a partnership between the public, voluntary and private sectors and focus on the main themes of growing businesses, skills, employment land, housing, the town centre and transport. The vision is based on "creating an economy in which business will prosper and local residents will have the enterprise and employment opportunities which reflect their ambitions and skills." Major projects include developing an Innovation District focused around the AMP; helping to bring forward new employment sites, such as Todwick North and Waverley, for development; continued support for growing businesses and further regeneration in the town centre. Town centre projects that have been identified include a potential new cinema and hotel, a redeveloped markets complex, a redeveloped Forge Island, a university campus and further residential development.